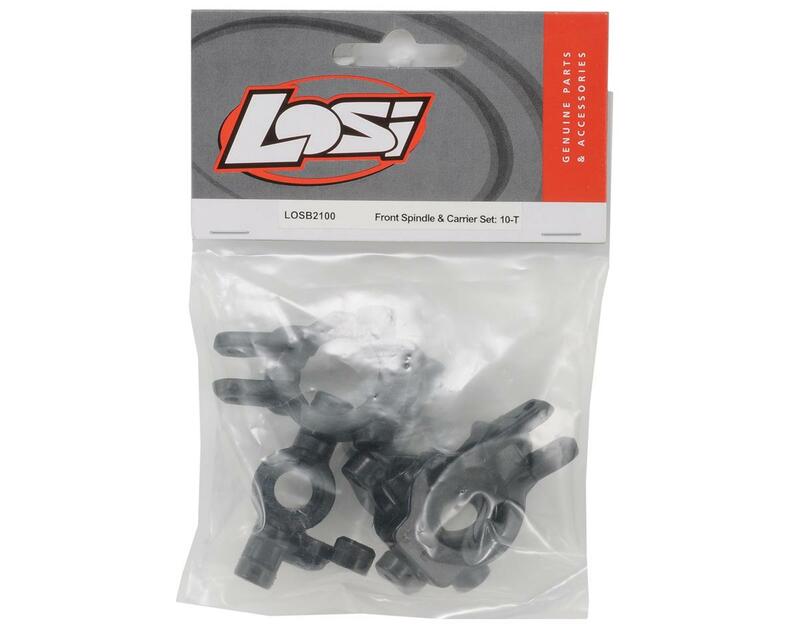 This is a set of replacement Losi Front Steering Spindles & Carriers, and are intended for use with the Losi Ten-T truck. The Spindle Carriers attach to the suspension arm at the outer hinge pin, and is secured in place by the front upper camber link. The Steering Spindles are attached to the spindle carrier allowing steering inputs to be transferred to the steering spindle by the steering link. 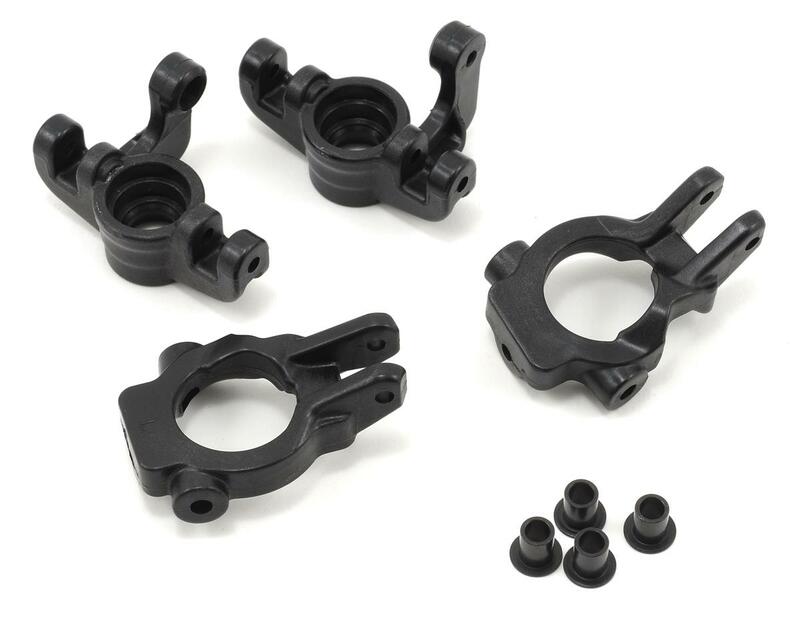 The steering spindles also carry the front axles and support the bearings that support the front axles.